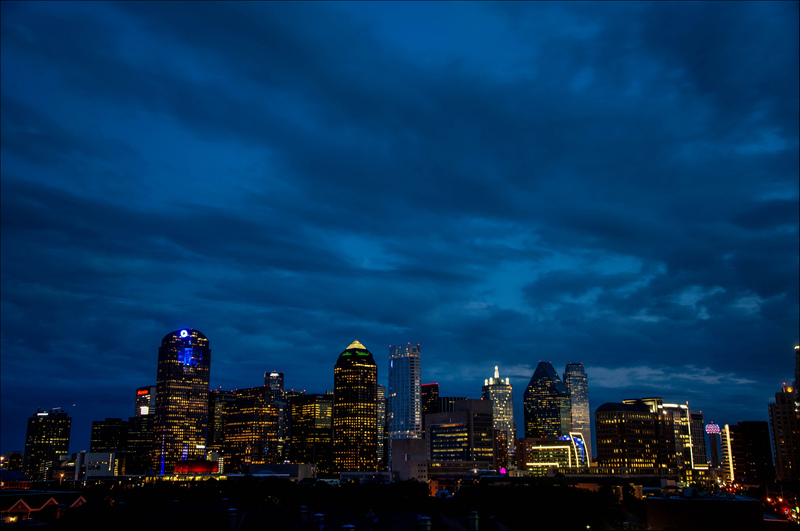 Late Friday night and early Saturday morning, hackers set off 156 emergency sirens in and around the city of Dallas, Texas. According to The Dallas Morning News, the sirens began blaring shortly before midnight on Friday and were shut off and reactivated "more than a dozen times" before emergency workers shut the system down entirely at around 1:20am on Saturday morning, after confirming that there was no actual emergency and that it wasn't the result of some benign malfunction. The city tried to tell residents that there was no emergency and not to call 911, but the system was nevertheless flooded with calls. The 911 line received more than 4,400 calls between 11:30pm Friday and 3am Saturday, double the number received between 11pm and 7am on a typical night. At its peak, the call volume and a short-staffed call center pushed wait times as high as six minutes—the city's goal is to answer most 911 calls within 10 seconds. City officials have discovered how the system was compromised and are working to keep it from happening again—as of around noon on Saturday, the system had apparently been reactivated, and the city was working to implement "more safeguards" over the weekend. They aren't disclosing how the system was compromised or who may be responsible, but Dallas Office of Emergency Management directory Rocky Vaz told the Dallas Morning News that it was likely "someone outside our system" but still in the Dallas area. margin-right:0px">csv-cut.py -s \t 1 emd.txt text-align:left">My csv tools can be found on my text-align:left">My assumption when I read this blog post, was that the blacklisted domains would rank low in the Alexa and Umbrella lists. They don text-align:left">Conclusion: dont use Alexa and Umbrella top 1,000,000 lists as whitelists blindly, even if you just use the top 1000 or 10000. My assumption when I read this blog post, was that the blacklisted domains would rank low in the Alexa and Umbrella lists. They dont, look at the histograms of the rankings. These long tail distributions indicate that blacklisted domains with higher ranks are more prevalent than those with lower ranks. 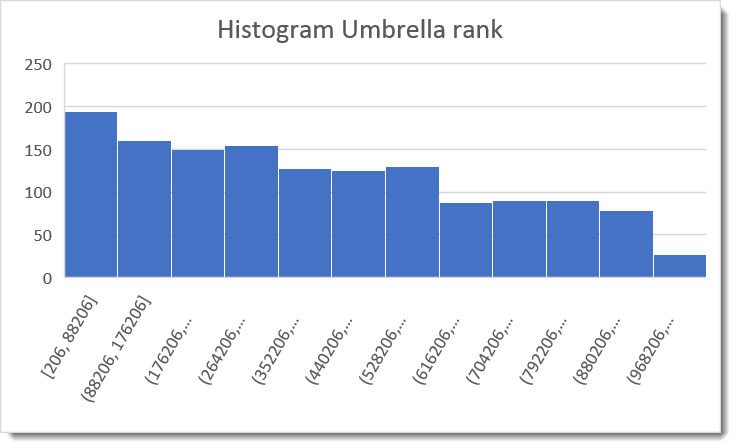 This is also reflected in the ranking average: 350553 for Alexa and 420846 for Umbrella. 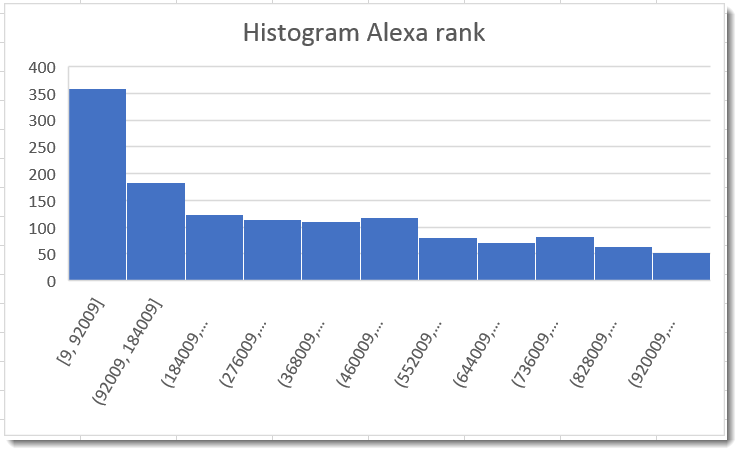 Conclusion: dont use Alexa and Umbrella top 1,000,000 lists as whitelists blindly, even if you just use the top 1000 or 10000.